Okay…no one actually said that. I just made it up. But on some level, it’s true. We readers deify some authors and artists, propelling their work to a state of literary ambrosia and fervently defending any who attack their art or their character. HP Lovecraft is one of those deified authors. His creations and his literature are adored by millions of readers. Defenders of his work and legacy are legion, and they descend in droves upon any who look to besmirch either. But can you blame them? Whether we agree with his politics or not, one thing we cannot deny is that Lovecraft’s work, particularly those stories centered on his his cosmology and mythos, are very, very influential pieces of literature. Lovecraft’s Elder God, Cthulhu, is a bona-fide geek culture icon that has transitioned into popular culture, being mentioned or referenced in countless novels, television shows, and video games. His unique style of dark psychological cosmic horror is still worming its tentacles into contemporary literature. Much of this Lovecraft inspired fiction is fantastic, and you should probably be reading it. Innsmouth Free Press is a a self-described “micro-publisher of dark fiction and horror” who has published several anthologies with themes inspired by Lovecraft’s work. 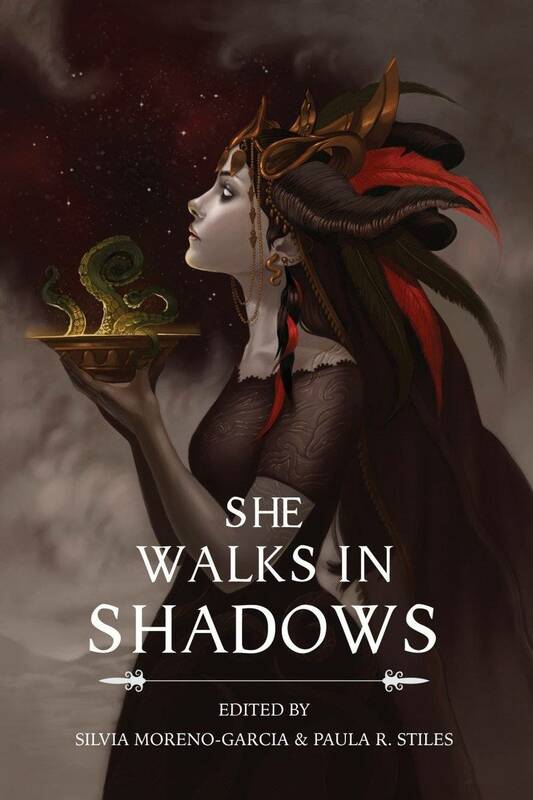 The latest, She Walks in Shadows, is an anthology of short stories written by women that has been lauded for bridging Lovecraftian sensibilities to a more diverse presentation of authors. Other notable releases from Innsmouth Free Press are Jazz Age Cthulhu, a anthology of weird tales set in the Jazz Age, and Sword & Mythos, which combines heroic fantasy with Lovecraftian themes. Stone Skin Press is another publisher of genre-bending anthologies with Lovecraftian flavor. Shotguns v Cthulhu fuses high-octane action with dark horror, and the forthcoming Swords v Cthulhu will do the same thing with sword and sorcery and Lovecraft’s sinister influence. Anthologies aren’t the only place for readers to find Lovecraft inspired dark horror and fantasy. Both short fiction and novels exist that draw from this dark inspiration, to various ends. Ruthanna Emrys’ “The Litany of Earth” is an interesting deconstruction and alternative view of the Lovecraft mythos, from the perspective of “one of them.” It’s an interesting contemporary use of Lovecraft’s cosmology to study identity and morality and political power. Elizabeth Bear’s “Shoggoths in Bloom” (now part of a collection) is a modern take on one of Lovecraft’s fictional groups, told from the point of view of a character that Lovecraft himself would never dream of using. 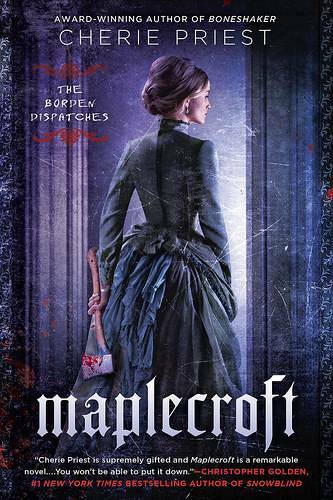 Cherie Priest’s Maplecroft is a dark Lovecraftian re-imagining of the Lizzie Borden story that features a compelling relationship between interesting women, a hunk of protoplasm that murmurs indoctrination, and a menace from the sea. Jonathan Howard’s Carter & Lovecraft is a Cthulhu-noir tale that features a hard-boiled P.I. in Daniel Carter, who comes into an unknown inheritance, and runs with Emily, HP’s final remaining descendant, to get into some sanity-shattering shenanigans. Despite his problematic politics, HP Lovecraft’s themes and creations are wildly popular, and some amazing stories have been written using the twisted spawn of his mind. What are some of your favorites? As always, I’m very open to recommendations.